God has given us so many blessings that are too often taken for granted. Of these many blessings from God, there are some that He gives to everyone and others which only come by knowing Jesus Christ as personal Savior. Of the seven blessings mentioned here, the gift of life and His love are available to everyone. The other five blessings that I mention are reserved for those who are a child of God. Every one of these wonderful gifts are available to anyone who will put their trust in Christ as Savior. Even unsaved people have the love of God granted to them. This does not mean that everything will be perfect in the world. We live in a sin-cursed world which also receives the judgment of God. Even though God loves everyone, He is still just and holy. He requires judgment over sin. God’s love is shown in the way He draws us to Himself. He wants to have a relationship with us. God provided His Son, Jesus Christ, as a Savior from our sins. Romans chapter 5 contains one of my favorite passages in the Bible. It says that for a righteous man someone might be willing to lay down their life to save that person. For a good man there might be several who would do so. But God, when we were not good and when we were not righteous, demonstrated His love to us by giving His Son while we were still in our sinful condition (Romans 5:5-8 paraphrase). You and I don’t deserve God’s love. Even as Christians we often don’t appreciate God’s love like we should. Yet He gives it to us unconditionally. Another way God’s love is shown which we don’t always appreciate is in justice and judgment that He seeks against evil and unrighteousness. And, like a loving father, He disciplines His own children so that they can grow more into the image of Christ (Hebrews 12:5-11). God has granted us the gift of life. Not only our life is a blessing from Him, but so are the lives of our loved ones. We should cherish the time we have with them. People tend to blame God for when life is taken away from their loved ones. The question often asked is why God allowed that person to die. What we too quickly forget are the wonderful years of life we had with that person. We should be thankful for the years we had with them. Instead of being angry with God for the loss of life, we should be grateful to God for the gift of life. Concerning your own life, what are you doing for God with the life He has granted? For those who are saved God has given us His forgiveness. For those who are unsaved, you should recognize that God has offered forgiveness to you which is available for you to receive. Sometimes Christians struggle with God’s forgiveness and take it for granted, or, worse, sometimes Christians are guilty of belittling God’s forgiveness when they can’t forgive themselves for their sins (Psalm 103:12; 1 John 1:9). The Holy Spirit has been given to us as a comforter (John 14:26). He is a teacher and guide for our lives. Those who know the Lord as Savior have the Holy Spirit indwelling their lives. Yet, in Ephesians 5:18 Christians are told to be “filled with the Spirit.” Though we have the Holy Spirit present with us, that does not always mean that we allow the Holy Spirit to control our lives. The contrast in that verse is to not be filled with wine and let it control your life and actions, but to allow the Holy Spirit so much control in your life that He is the one who directs your life and actions. The indwelling presence of the Holy Spirit is a blessing for those who have received Him through salvation. The Holy Spirit convicts of sin because of God’s love toward us. May we be more grateful for this marvelous gift. The Holy Spirit brings to us spiritual understanding that is not available to the unregenerate man. 1 Corinthians 2 tells us that the natural does not receive the things of the Spirit of God, but the spiritual man understands the things of God and judges all things with the wisdom of God. The whole chapter of 1 Corinthians 2 is worth the time it takes to read and understand concerning this wonderful gift of the Holy Spirit who gives us spiritual understanding. God has granted each Christian at least one spiritual gift. We find lists of the various spiritual gifts in Romans 12, 1 Corinthians 12, Ephesians 4 and various other verses. These gifts include (but are not limited to) evangelism, encouragement, pastoring, ministering, showing mercy, giving, etc. While we should all exhibit as many of the spiritual gifts as we can, we know that the Holy Spirit specifically gifts each Christian with a greater degree of some of the gifts. We are each placed into the body of Christ (the church) to minister to one another through these gifts. Every Christian has been given a way to serve the body of Christ through these special blessings we call spiritual gifts. As Christians, we are called to be ambassadors of God (2 Corinthians 5:18-21). What a great honor and privilege! Yet, so often we take that honor for granted and think that someone else will step up to the task. We have been reconciled to God through Christ. Now He has called us to introduce others to Him as ambassadors. Are you willing to accept this blessing that God has given? 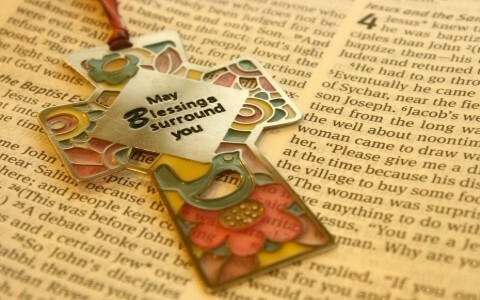 The Bible commands us to be thankful (Colossians 3:15; 1 Thessalonians 5:18). Each one of us should strive to be more grateful for the wonderful gifts God has give to us. These blessings of God grow more sweet and precious the more thankful we are for them. This is just a wonderful article. I’m going to share it with my friends and read the recommended bible verses. We all need to practice living more in a spirit of gratitude and thankfulness rather than in constant complaint and ingratitude. This is also a beautiful reminder to remember who we are – each of us is living body of the Holy Spirit. It is so important to remember that we can live a victorious life through the Holy Spirit. We are called to be ambassadors for Christ and this article emphasizes this. Thanks for the reminders. Thank you Mrs. Peters. Beautifully put. Previous post: What Is The Difference Between Fundamentalists and Evangelicals?